Breakfast is served in the lounge at a shared table overlooking the garden. Breakfast imes are 7.30 - 8.30 Monday to Friday, and 8.30-9.30 Saturday and Sunday, but we can accommodate other times on request. 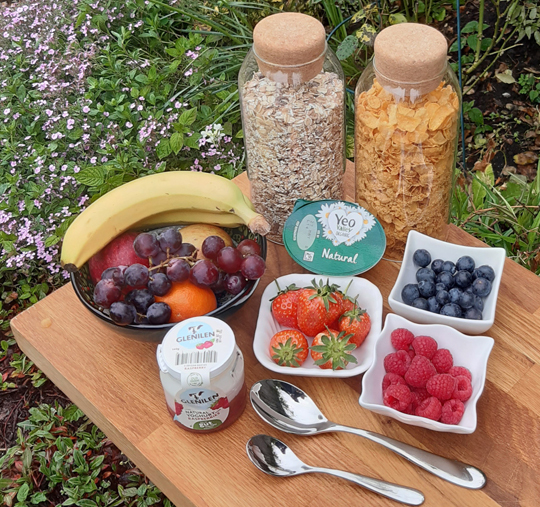 All produce is locally sourced where possible, including free-range eggs, and yoghurts, fruit and berries from the local markets.